Rank for 5 Taxis, cnr Grey & Victoria Street, Durban, 1958. Photo by Ranjith Kally. 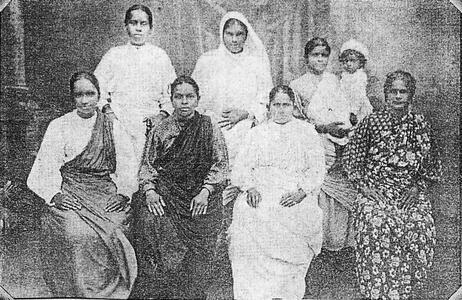 Although separated by over 9,000 miles, South Asians in both the United States and South Africa faced similar struggles against racist and exclusionary practices near the turn of the 20th century. In fact, racial relations in the United States and South Africa have many points of comparison, from Jim Crow laws (1896-1965) and apartheid (1948-1994) to both historical and contemporary rhetoric centered on white supremacy and reactionary nationalism. The two nations’ histories of xenophobia towards Asian migrants make up a broader transnational story: the US Immigration Act of 1917 drew inspiration, in part, from a series of anti-Asian laws in South Africa (1885-1913), which provided examples of established exclusionary policies. In both instances, the Asians in question were primarily of South Asian descent and imperial subjects under the British Crown. Their stories are entangled, therefore, due to the extended reach of the British Empire –British officials often colluded with North American officials to surveil their Crown subjects –as well as to the transnational influence that South Africa had on American anti-Asian legal and extralegal policies and practices. Via Indian Indentured Labour in Natal 1860-1911. Read more. Though South Asians were present in the United States and South Africa well before the 19th century, their numbers were small. It was only in the mid to late 1800s that South Africa saw an influx of South Asian migrants, who arrived primarily as indentured laborers to work on sugarcane fields, but also as merchants and laborers in other industries. And between 1905 and 1917, South Asian farm laborers and mill workers arrived to the West Coast of the United States, resulting in a larger, though still relatively small, South Asian presence. As a result of the increase in the South Asian population in both regions, the growing economic anxiety felt by white Americans and South Africans, and the perceived threat that South Asian political agitators posed, South Asian communities encountered discriminatory laws and practices that sought to disenfranchise them and prevent further immigration from the Indian subcontinent. As was the case with the American government, white South Africans introduced legislation that discriminated against South Asians on a broad scale beginning in the late 1800s. When Mohandas Gandhi landed in South Africa in 1893, he confronted forms of discrimination that marked him as an unwanted outsider. When he realized the severity of anti-Asian discrimination in South Africa, he not only took up the cause, but also planted the seeds in South Africa for his future Quit India movement. 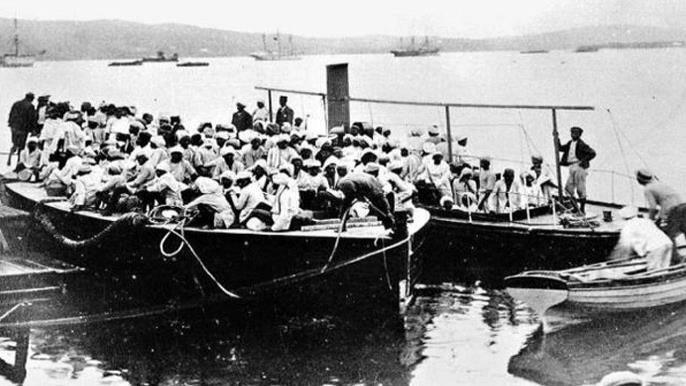 During the 1890s, a series of laws were passed that denied the parliamentary vote to Indians and stated that Indians had to return to India at the end of their five-year indenture period.1 If they failed to return, they would either be re-indentured for an additional two years or, refusing these terms, charged an annual tax of £3 –a burdensome amount charged to any Indian over the age of 16. This tax was similar to the head taxes that the US Congress introduced as early as 1882, and which the US Immigration Act of 1917 increased to $8 per immigrant. The Indian Mineworkers Strike in South Africa (1913). See more. South Africa’s legislative program focused on disenfranchising and taxing Indians in order to encourage South Asians to return to the subcontinent and to prevent further immigration from Asia. Following these policies, which were ostensibly economic and political in nature, the Asiatic Law Amendment Ordinance of 1906 required all male Asians, Indian and Chinese, to submit to physical exams, to provide fingerprints, to be registered and to carry a registration pass at all times. Any Asian who refused would be subject to fines, imprisonment, and possibly deportation. The law, known as the “Black Act,” severely limited Asians’ ability to freely move about South Africa, and had antecedents in existing anti-Chinese legislation, including the Cape Colony Chinese Exclusion Act of 1904. While targeting Asians specifically, the “Black Act” foreshadowed many of the policies of the apartheid regime, including the enforcement of pass laws directed at Asians but also, and more severely, at black and mixed race peoples, referred to as “coloured” in South African vernacular. Laws like South Africa’s “Black Act” subsequently set a precedent for the US Immigration Act of 1917 as well, which prohibited migration from almost the entire Asian continent for almost three decades and imposed literacy tests for entering migrants in addition to the head taxes previously mentioned. As Seema Sohi explains, “US immigrant officials and members of Congress pointed to restrictive immigration policies across the [Canadian] border as well as in Natal [South Africa], Australia, and New Zealand…to justify exclusion at home” and especially to prevent “an invasion of Hindus in the Pacific Coast states.”2 Considering the histories of anti-Asian legislation in the US and South Africa together makes clear their contribution to a larger transnational story of racial discrimination against South Asians in particular and Asians more broadly. Indian women in South Africa jailed for their role in the passive resistance campaign. 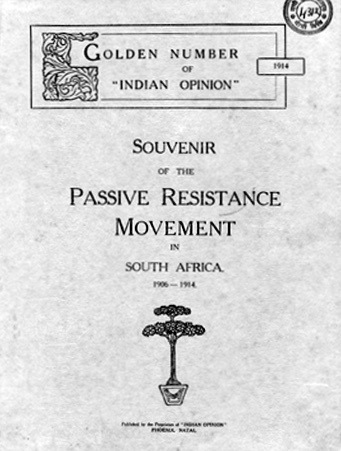 Despite his overt racism against black South Africans, Gandhi inspired solidarity among much of the Indian population to agitate against South Africa’s exclusionary practices towards them.4 After the passage of the “Black Act”, for example, mass meetings were organized within days, and the start of an eight year resistance movement was launched. This resistance campaign featured protests and non-cooperation, including refusals to register and a mass burning of passes. While initially labeled the “Passive Resistance Campaign,” Gandhi renamed this movement to satyagraha, translating literally to “truth-force.” He would later use the same term to describe his non-violence campaign against British colonialism on the Indian subcontinent. The satyagraha campaign resulted in the 1913 Indian Relief Act, which successfully abolished the poll tax, recognized marriages of any religion, and made it possible for children of Indians living in South Africa to join their families. That same year, South Asian activists in the US, primarily migrant workers that emigrated from the Punjab region of India, formally established the Ghadar Party as a political arm through which they advocated for the rights of South Asians on the subcontinent and in the US. Like the Natal Indian Congress, the Ghadar Party was organized around a weekly newspaper called Ghadar, which published news, meeting notes, revolutionary speeches, and poetry that tied together South Asian activists' voices as they agitated for the end of British rule on the Indian subcontinent. By this time, The Indian Opinion, as well as news about Gandhi’s struggles and triumphs in South Africa, was in circulation across the globe, and South Asians residing in all corners of the British Empire were organizing locally and transnationally against British imperialism. Together with South Asian intellectuals and other activists, the Ghadar party fought simultaneously for the end of British rule in India as well as against anti-Asian discrimination and violence in the United States. Read issues of Indian Opinion. 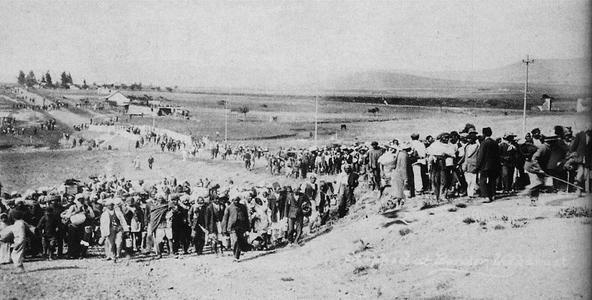 Though both Ghadar’s and Gandhi’s resistance movements emerged in response to the state-sanctioned oppression of South Asians, they differed significantly in their approach: the Ghadar Party called for the armed overthrow of the British in India –Ghadar itself means ‘revolt’—while Gandhi and his satyagrahis extolled and practiced nonviolence. 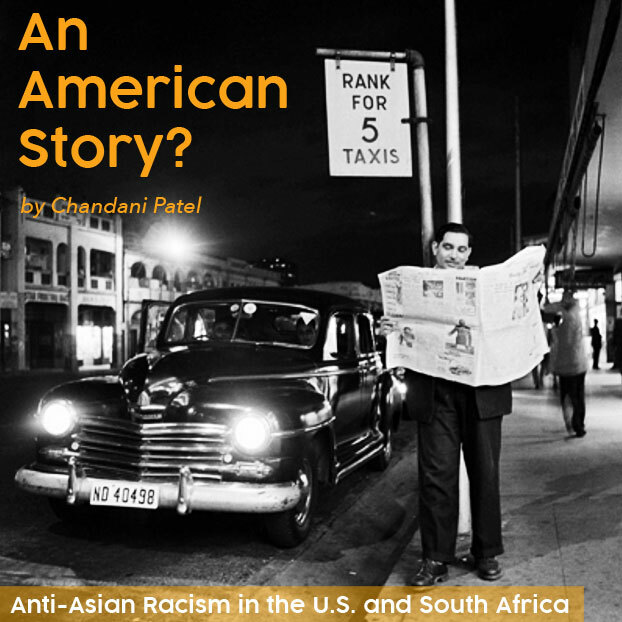 Despite these differences, South Asians activists in both South Africa and the United States collectively contested anti-Asian policies and practices from the late 19th through the 20th century by making their plight visible transnationally and by advocating for their political, economic, and racial inclusion within the American and South African societies of which they were part. As we look back on and learn from historical discrimination against South Asians, we stand to gain a more capacious understanding of interconnected systems of oppression, as well as the collective forms of resistance that took shape to combat racist policies and practices. The comparable racist and colonial systems of the US and South Africa were transnational in scope, but the responses to these forms of state-sanctioned oppression gained strength through their transnational solidarity as well. Much as white Americans drew on transnational examples when drafting anti-Asian immigration policies, South Asians in America connected their struggles to anti-colonial agitation on the Indian subcontinent, which, in turn, was built in part on models of resistance movements first tested in South Africa. Exclusion has been an American story, but it is also the story of any nation that defines itself by who belongs within its borders and who does not, and Gandhi’s own exclusionary framework warns us about the injustice of fighting for some at the expense of others. As we remember the long, intertwined histories of white supremacy and its attendant forms of anti-Asian racism in both the United States and South Africa, we are reminded of the dangers of the insider/outsider binary as well as of the urgency of our present historical moment. The anti-Muslim backlash across Europe that marks the lives of both South Asian and black Muslim immigrants as precarious, the anti-immigration rhetoric that has brought violence against many communities in the US, and the xenophobia at the heart of recent racial tensions between black South Africans and African migrants to South Africa, all highlight the reality that fear and mistrust are often deployed to turn us into strangers instead of neighbors. 1. I use the term “Indian” to refer to these migrant communities because it is the designation currently used in South Africa. 2. Seema Sohi, “Race, Surveillance, and Indian Anticolonialism in the Transnational Western U.S.-Canadian Borderlands,” The Journal of American History Vol. 98:2 (2011), 425. 3. Desai and Vahed, The South African Gandhi: Stretcher-Bearer of Empire (Stanford: Stanford University Press, 2015), 37, 42, 68, & 119. 4. Gandhi also appealed to South Asians’ status as British subjects to distinguish them from black South Africans, whom he deemed of an inferior stature. AJ Arkin, KP Magyar, and GJ Pillay, eds., The Indian South Africans: A Contemporary Profile (Pinetown: Owen Burgess Publishers, 1989). Kornel Chang, “Circulating Race and Empire: Transnational Labor Activism and the Politics of Anti-Asian Agitation in the Anglo-American Pacific World, 1880-1910,” The Journal of American History Vol. 96:3 (2009), 678-701. T. R. H. Davenport and Christopher Saunders, South Africa: A Modern History, 5th ed. (New York: St. Martin’s Press, 2000). Isabel Hofmeyr, Gandhi’s Printing Press: Experiments in Slow Reading (Cambridge: Harvard University Press, 2013). Maia Ramnath, Haj to Utopia: How the Ghadar Movement Charted Global Radicalism and Attempted to Overthrow the British Empire (Berkeley: U.C. Press, 2011). Seema Sohi, Echoes of Mutiny: Race, Surveillance, and Indian Anticolonialism in North America (New York: Oxford University Press, 2014). Chandani Patel is an Assistant Director of Faculty Programs and Services at Columbia University's Center for Teaching and Learning. She holds a PhD in Comparative Literature from the University of Chicago, and is a member of SAADA's Academic Council.